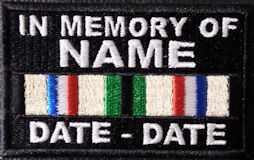 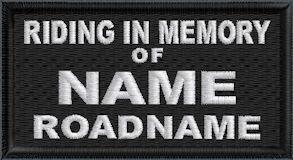 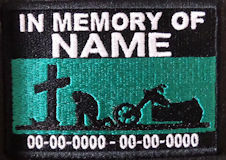 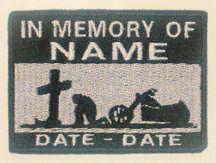 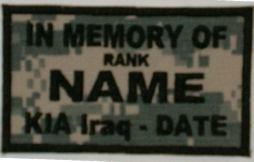 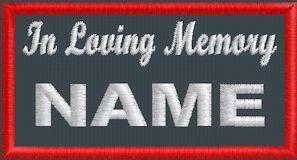 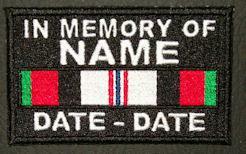 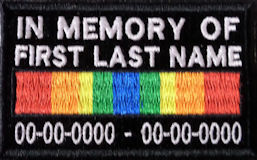 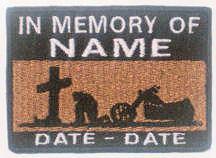 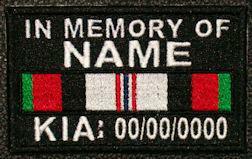 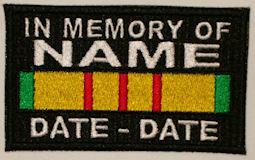 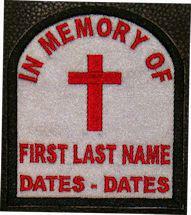 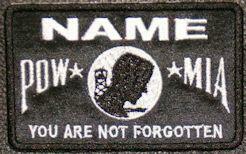 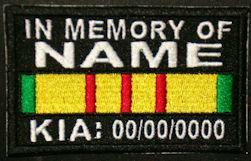 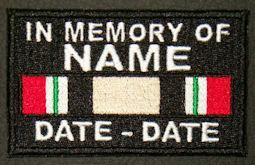 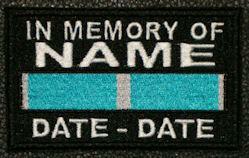 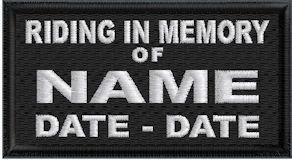 Our Custom In Memory Of patches - Memorial patches and KIA Service Ribbon patches are a good way to honor our family, brothers and sisters, and fallen heroes. 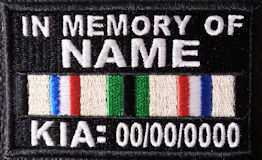 Our Korea Service Ribbon, Vietnam Service Ribbon, Afghanistan Service Ribbon, and Iraq Service Ribbon patches, whether being of an In Memory Of style or the KIA style have been designed by me to give the utmost respect to your brothers and sisters and our fallen heroes. 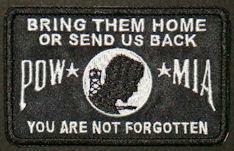 You can be sure they will be honored with your patch. 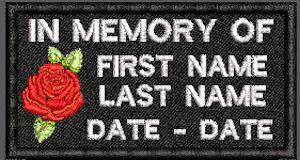 Choose the right In Memory Of patch. 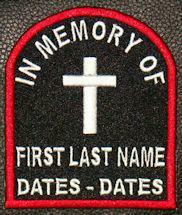 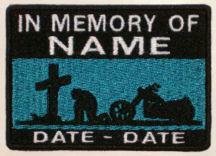 Our Best Seller, Full Embroidered Motorcycle and Cross (looks very sharp on Leather Vests and Jackets). 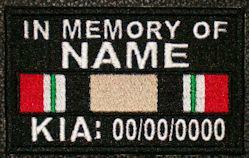 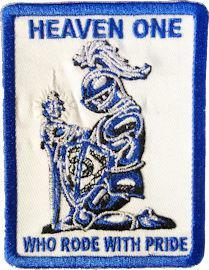 I am the Owner and Designer of this patch. 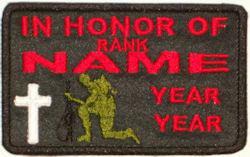 I take Pride in my work, and expect you would want nothing less. 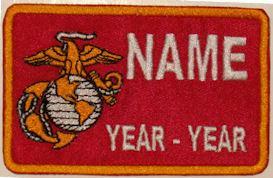 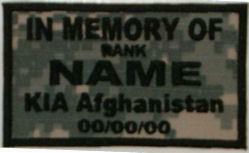 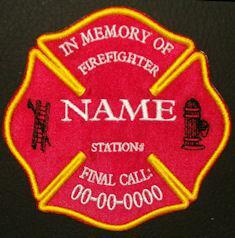 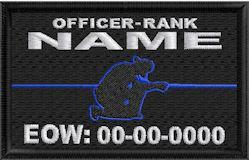 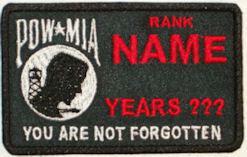 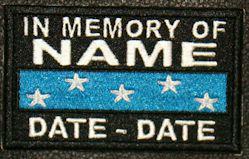 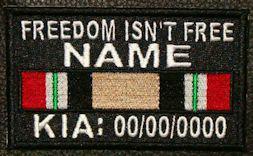 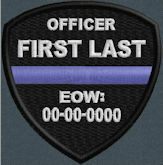 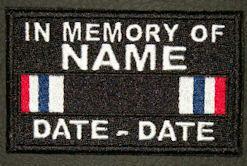 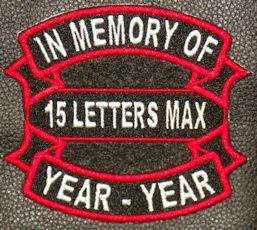 I take as much pride in make these patches as you will be wearing them. 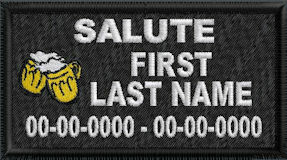 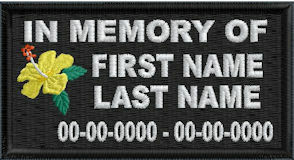 We also make a Wide range of Designed By Me Full Embroidered in which you can pick the colors of the Background, Border, and the Text. 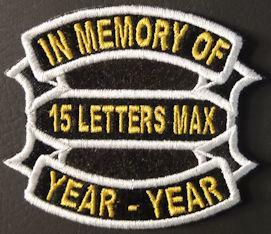 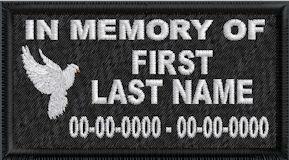 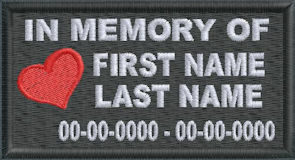 We add New types and styles of our In Memory Of patches when we have made sure they meet the requirements of the highest quality of our standards. 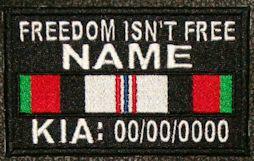 New designs are always in the works, and when completed, we will release them to the website. 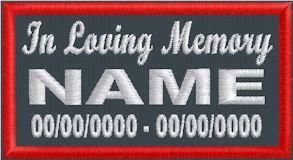 as much as you will be displaying them.